Sometimes, it merely takes the first few seconds of a release to be convinced of its wow-potential. One of these "somes" is the new EP of Nicholas Murray aka Conkarah called Timeless Love, a six-track-affair that's bound to heat up your spring. 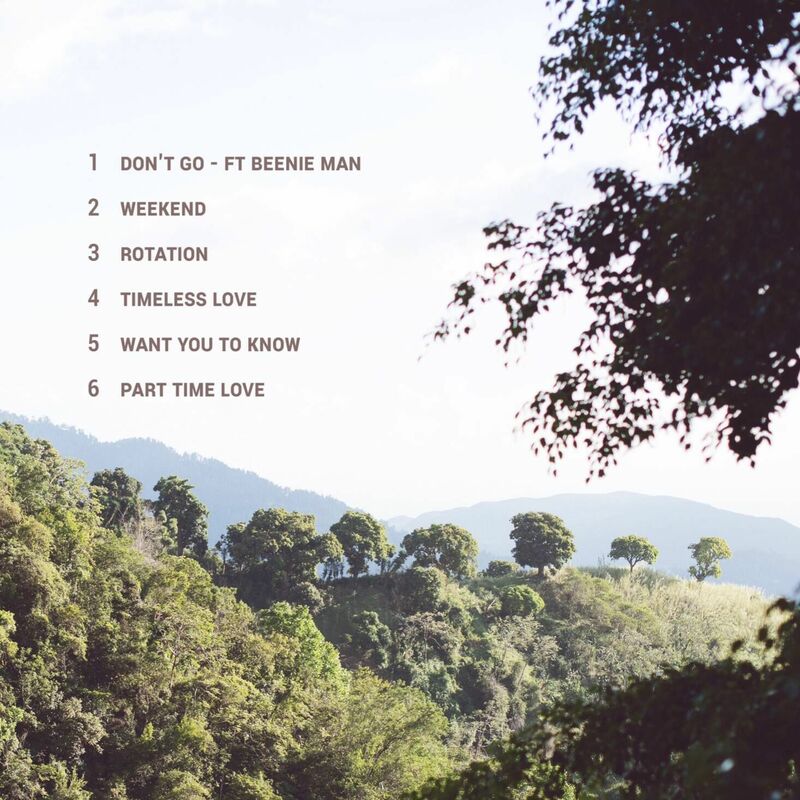 It's the third release for the son of a Jamaican father and an English mother, and while his former two EPs Loverbwoy/ Rudebwoy (2013) and Don't Kill My Love (2015) never made it big, this might be about to change! The first song really did it for me. A Beenie Man combination, the underlying riddim holds a perfect balance between smooth laid-backness and amiable dancing-invitation. Don't Go! Even though this one probably is the highlight of the release, the following titles speak of the production skills of Dominic "Troublemekka" McDonald and Nikolas "Sniggy" Silvera (both from Troublemekka Music, the release's label) as well. Crisp, clean sounds, booming bass and skilled arrangements that switch between groovy beats and sped-up passages as in Weekend Love make for a pleasant listening experience. The style ranges from poppy Reggae in the title track Timeless Love over a Modern Roots approach in Want You To Know to the Soca-infused Part Time Love. A further mark of quality: all titles have been recorded at Kingston's Big Yard Studio, the place to be for fresh and current artists. Lyrically, the songs center on love and longing, which make for sigh-along, emotional tracks, but somehow lack deeper message and meaning. 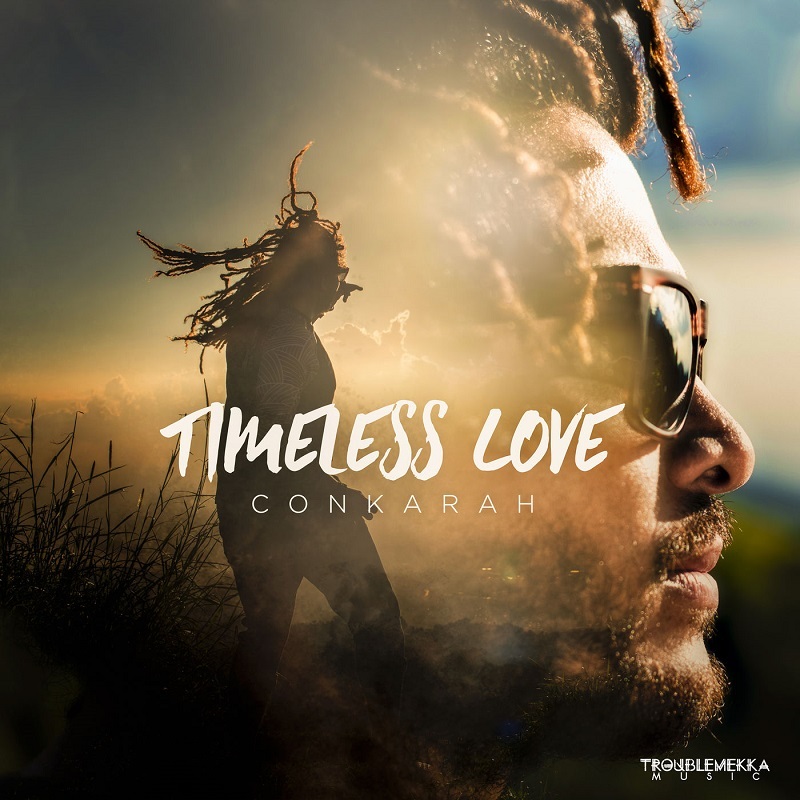 That he is capable of the latter as well, Conkarah has aptly proven in a recent collaboration with Toké, the title Respect ringing with a plea for acknowledging the "little", hardworking people. More of that! 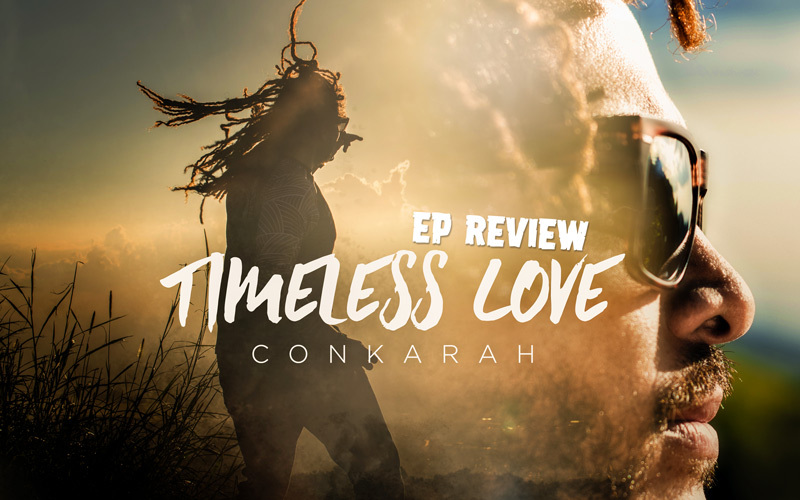 To be sure, Conkarah got the looks, the voice and the talent to step up to the international Reggae scene. When it comes to Reggae cover versions, he has already reached millions of views with Adele's Hello, Ed Sheeran's Thinking Out Loud or Rihanna's Work (and can thus be considered a Youtube-Star), but it remains to be seen if he has enough to say as a genuine artist as well. Timeless Love is a sweet, light spring release, bound to make you smile and skip to its well-composed tracks. And the equally well-composed cover and booklet art-work will certainly appeal to the ladies, especially. Rotation!